2012 is an exciting year for London. The Olympics and Para Olympics will bring unprecedented attention to our city and all we have to offer and music will be an important part of this making this celebration a great success. Our seminar will share the thinking behind these events, how music will be used throughout the Olympics and the opportunities for you to get involved. Hear from Claire Whitaker from Serious about the BT River of Music and Paul Broadhurst who leads the Mayor’s Music Education Strategy about opportunities to take part. 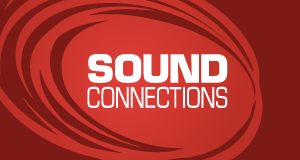 This free seminar will allow Sound Connections members to hear more about the Cultural Olympiad and music’s role within the games. Delegates will understand more about potential ways they can get involved and opportunities for young people. “The London 2012 Festival, Serious and BT today announced BT River of Music – two days of music events that will take place on Saturday 21 and Sunday 22 July 2012, the weekend before the Olympic Games open, with BT confirmed as title sponsor. BT River of Music will offer music lovers of all ages and backgrounds the opportunity to take part in celebrating the build up to the London 2012 Games, with free access to events over the weekend. This seminar is a partnership with Serious and the GLA. To book your FREE ticket, click here.